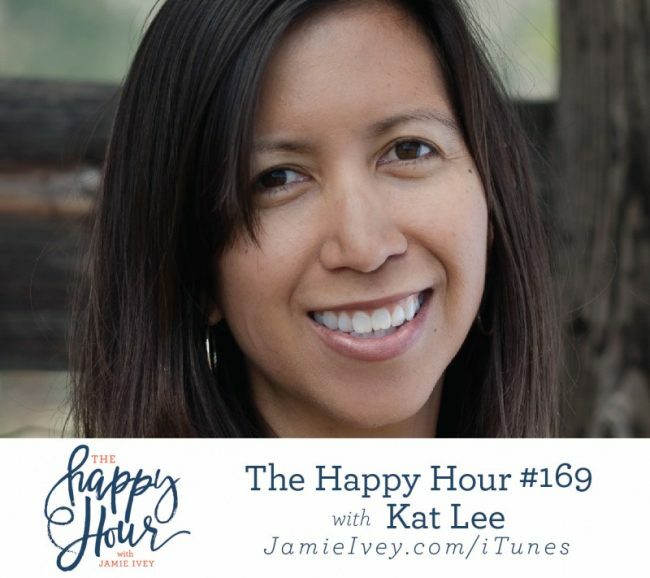 My guest for The Happy Hour #169 is my friend, Kat Lee. Kat is passionate about teaching others how to jump-start each day with a grace-filled, life-giving morning routine. She and her husband, Jimmy, live in Waco, Texas, with their three children. She is a writer, speaker, podcaster and founder of HelloMornings.org. On today's show, Kat and I talk about podcasting, our new favorite shows and how she has earned the title of being my Podcast Mom. Kat shares about her new book, Hello Mornings. She's super passionate about waking up for your life, rather than to your life and she's taken the time to write about it. If you're anything like me, this conversation might be a tiny bit convicting to a comfort idol that begs for me to stay in bed as long as possible. Kat shares about her experience in learning to wake up earlier than she had to, to meet with God and get her head on straight. Her book tells of her journey and about getting the most out of your sleep. I am such a big fan of Kat and the work that she is doing. Make sure to hop over and pre-order a copy of Hello Mornings for you and a friend.